Park your glasses! Eyecatchers are a multi-tasker’s problem solver. For anyone who appreciates good, clean design, they are handsome pieces of jewelry. Eyecatchers were created by accident at a craft show in San Francisco when Micki Whelan was showing some necklace designs with simple pewter circles on blacks cords. 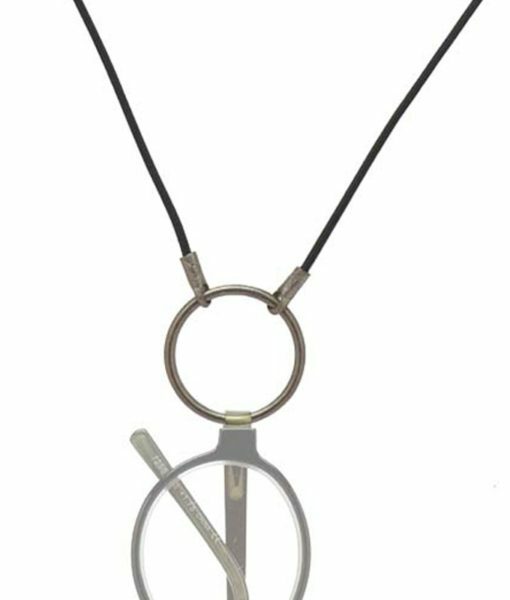 Late in the day, a customer who had just purchased one of the necklaces promptly hung her reading glasses in the circle of the necklace – the Eyecatchers collection was born! Today, they are Micki’s most popular seller!